The current IAIA Artist-in-Residence (A-i-R) artists Janice George, Leanne Campbell, and Marlene Nielsen are all fiber artists. Join to the IAIA Museum of Contemporary Native Arts (MoCNA) for hands-on experiences with interesting materials like wool, bark, grasses, and cured fish skin. Gain insight into techniques and materials featured in the exhibition Connective Tissue: New Approaches to Fiber in Contemporary Native Art. Janice George (Squamish Nation) introduces Coast Salish weaving, Leanne Campbell (Coeur d’Alene) shows twining techniques used in basketry, and Marlene Nielsen (Kokhanok Village) shares Alaskan fish skin as a material for clothing. 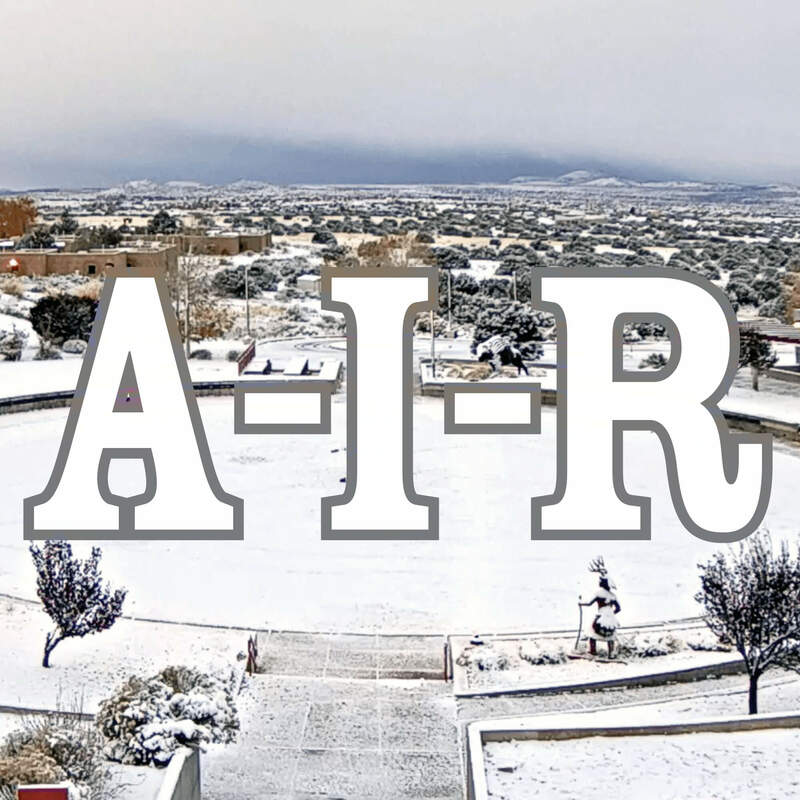 For more information, please contact IAIA Artist-in-Residence Program Director Dr. Lara M. Evans (Cherokee) at (505) 424-2389 or levans@iaia.edu. Free and open to the public. 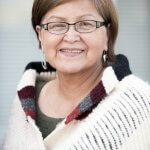 Janice George (Chepx imiya Siyam), from Squamish Nation, Canada, is a master weaver and textile artist who learned to weave from Coast Salish weaver Susan Pavel and Subiyay-t Bruce Miller of Skokomish in 2003. George has integrated Squamish teachings into her work from her late Grandmother Kwitelut-t Lena Jacobs and other Squamish ancestors. George states, “In this short time of my weaving life, a few of my mentors have left this earth. Their breath is carried on in the teachings I pass on. I feel and see the pride that comes from reclaiming our inheritance from our elders and ancestors when we weave and when we wear our beloved weavings. We are taught spiritual protection is part of what we are wearing and feel the love that is put in each hand movement it takes to make a robe.” George co-authored the book Salish Blankets, Robes of Protection and Transformation, Symbols of Wealth with Willard Joseph and Leslie H. Tepper. 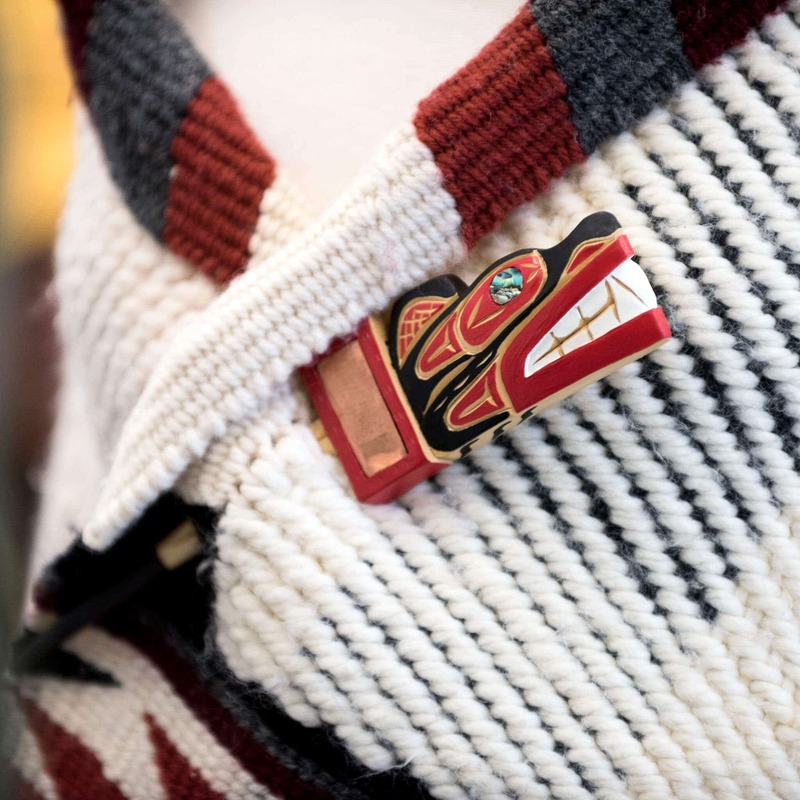 For the last twelve years, the artist has been teaching her textile skills across Salish speaking territory. 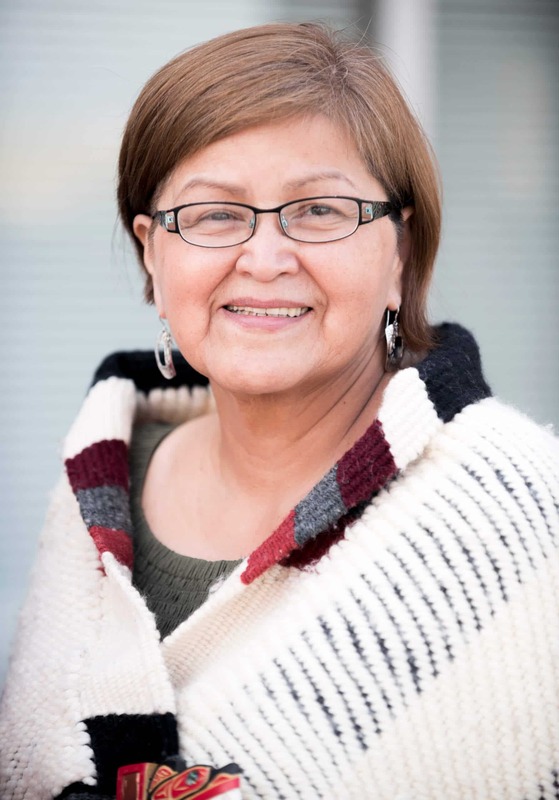 She attended Capilano University, British Columbia, the Institute of American Indian Arts, Santa Fe, and interned at the Canadian Museum of History, Quebec. 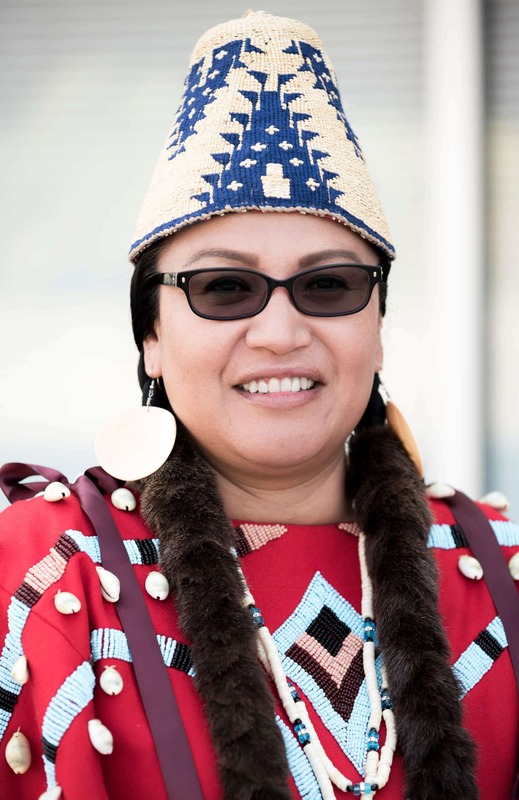 Leanne Campbell is an enrolled member of the Coeur d’Alene Tribe or Schitsu’umsh—meaning, “Those who were found here” or “The Discovered People.” Her lineage includes the Confederated Tribes of the Colville Reservation located in central Washington and the Nez Perce Tribe of Idaho. Campbell embraces her history, culture, language, and traditions while being a speaker of the Schitsu’umsh language. 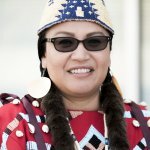 She is most renowned for her unique skills in traditional and cultural arts with beadwork and basketry. Her beadwork is a mix of pictorial, geometric designs, and old style floral designs of the Northwest Columbia Plateau. Campbell gained valuable experience and knowledge by working over the past twenty-four years with the Coeur d’Alene Tribe. Currently, Campbell serves as the Historic Preservation Program Manager and Curator for the Coeur d’Alene Tribe. 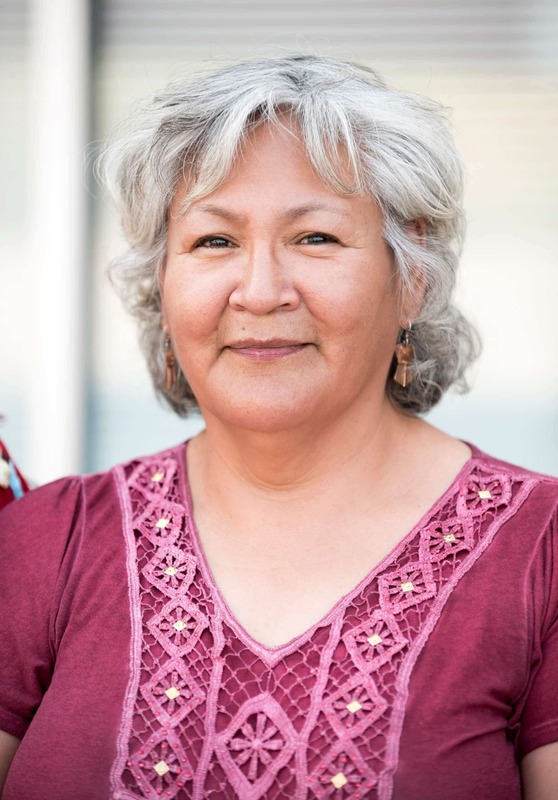 She earned her Bachelor of Fine Arts in Museum Studies with a minor in Studio Arts at the Institute of American Indian Arts, Santa Fe, and is a United States Air Force veteran of the Desert Shield and Desert Storm era. 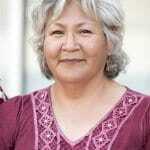 Marlene Ann Nielsen is Yupik from Kokhanok, Alaska, located on the south shore of Lake Iliamna. This is the largest lake in Alaska and contains several species of fish that spawn yearly. From a young age she has helped to preserve, smoke, and salt sockeye salmon for winter use. Nielsen is self-taught in the art of making baskets, wallets, and jewelry with sockeye salmon skin. She experienced trial and error on learning how to preserve fish skin. Salmon skin art was seen as a lost skill in her area which inspired her to reintroduce the rare technique by teaching students. Nielsen has been creating art with fish skin since 2002.